I really appreciate your purchase and would like to personally thank you for adding my art to your collection. I would like to invite you to join my monthly newsletter. 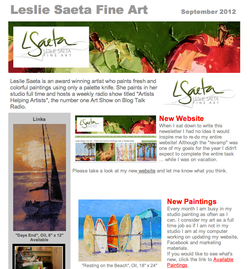 Every month I will update you on news about my art, specials and lots of other things happening in my world of art. To view my September newsletter and sign up to receive my newsletter, follow this link. Just click the box at the top titled "Join email list" and you will automatically receive my monthly newsletter.